Our FAQ section contains some of the most frequent doubts you may have about our company and our products. Do you want to know how one of the SaludBox active ingredients works? Any doubt about the intake of any of the SaludBox food supplement? Browse the product menu and solve all your queries. In the case your question is not in this section, do not hesitate to contact us. Why SaludBox complements are presented in the form of chewing gum, gummies, tablets and chocolate tablets? At SaludBox we do believe that it is possible to combine food supplements that help to keep our health with the delight of taking our products. In addition, the sublingual way (the main philosophy of the company) facilitates the rapid absorption of the assets, and improves the efficiency and speed of the absorption. The sublingual way is a resource to ensure that assets are absorbed quickly and efficiently. Are Saludbox products as effective as conventional pills or tablets? Yes. The effectiveness of the assets depends on their absorption and the metabolism of the liver on what is ingested. On the other hand, we can affirm that a product absorbed through the sublingual way, such as SaludBox supplements, avoids the first hepatic effect. What is the first hepatic effect? Could it be avoided? The first hepatic effect is the process of selection our organism does in order to prevent intoxications. Through this process the substances are redirected to the places where the organism needs them. Everything that might be harmful is rejected. The effectiveness of a sensitive active principle decreases if during the first hepatic effect there is a degradation of the supplement and its assets. What does SaludBox dietary supplements taste like? The range of complements SaludBox taste like mint. A fresh and clean taste as our concept of the products. Are all products suitable for children? Initially, the product we recommended for children from 3 years old is Vitimax Kids, a candy-line that provides vitamin reinforcement for the little ones. Probichok also is recommended for children who need to activate their defenses and maintain a healthy intestinal flora. The chocolate coated format has great acceptance among children and adults. Do Saludbox supplements have sugars? Following the philosophy of the company, our products are sugar free. However, there are some of them that, due to technical needs, must carry dextrose: Memo, Vitimax Kids, Uculis, Bocaft tablets and Morpheo. On the other hand, the amount they contain should not cause difficulties in patients who are sensitive to sugar. Can Saludbox supplements replace my usual medication? No. Food supplements can contribute to a good maintenance of the state of health, but they do not cure, and therefore they can never substitute the medication of a sick person. In any case, they can act as a good reinforcement, both for people with a specific ailment, and for healthy people who want to take care of themselves. What does Happy Health mean to us? Happy Health is the motto of the company, and expresses our product philosophy. On the one hand, it states the importance of maintaining a good level of health. On the other, the importance of being happy, which in the common imagination is associated with sweetness. By associating these two ideas, we come to the following conclusion: taking care of yourself does not have to be associated with having a bad time. And that’s why our supplements, instead of having the usual medicated formats, are presented in a very nice format. Are Saludbox supplements healthier than candies and gum from a candy store? Of course. The candy bases and chewing gum come from natural sources. 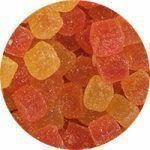 The gummies are made of pectin (extracted from apples), and the base of the candies is acacia gum. In addition to this, all the dyes are natural. All of our formulations comply with pharmaceutical quality legislation, for the absolute tranquility of the consumer. All of our formulations are presented in a nice format, but taking into account that the most important objective of SaludBox food supplemets is being an effective way for patients to take care of themselves. Do Saludbox products have artificial colors and aromas? No, all SaludBox ingredients come from natural sources. Are our products suitable for coeliacs? Yes. The entire range of Saludbox products are suitable for people with permanent gluten intolerance. And for vegetarians and vegans? Yes, SaludBox products are suitable for vegetarians and vegans. As an exception, Saludbox Beauty contains animal proteins. Taking a SaludBox candy is the closest thing to extract the pleasurable essence of an apple. Is it necessary to drink water together with the Saludbox supplements? When is the right time to consume chewing gum, gummies, candies and chewable tablets? Each product has its own consumption schedule. We recommend to check the section of each product on our website for more information about each of them. Can I eat as many gum, jellybeans and tablets as I want? Each product has a series of active ingredients dosed. For this reason, we recommend reading the labeling and follow the consumption established in its instructions for use. Where can I buy Saludbox products? Our company distributes its supplements in pharmacies. For more information about your nearest Saludbox pharmacy, you can check our pharmacy map. What is Saludbox Amore good for? It helps maintain libido and improves the quality of intimate relationships for both sexes. Likewise, it can also be used to relieve the symptoms of premenstrual syndrome and menopause. What is the origin of the Andean maca? The Andean maca is an herbaceous plant that grows at high altitudes –up to 4,400 meters above sea level– in the Peruvian and Bolivian Andes. Throughout history, its root has been used as food and has been supposed to have positive effects on fertility. The Andean settlers traditionally consumed it to improve their physical and mental abilities. However, it also has aphrodisiac properties. How many chewing gum can I chew every day? It is recommended to take 1 or 2 chewing gums before intimate relationships and not exceed a dose of 2 chewing gums per day. Which are Saludbox Amore active ingredients? Maca, arginine and vitamin E, three ingredients that maintain a synergistic relationship. Maca, with its main arginine asset, has traditionally be considered to have a libido-enhancing effect. The form of action of arginine, a component of Maca, produces an improvement in the irrigation of intimate areas. Products that contain hyaluronic acid and are used in the oral environment, help to heal the bothersome canker sores. When do we notice its effect? A protective film is created in the oral environment after a few minutes of chewing the gum. Hyaluronic acid is a complex sugar (polysaccharide) with structural function on the skin and present in many bodily processes, including healing. To people with small wounds in the mouth. And particularly, to people with stress, users of dental prostheses and oncological patients. Which are Bocaft active ingredients? This chewing gum / tablet contains 1 single active ingredient: hyaluronic acid. It helps to create a protective film that regenerates the buccal mucosa and soothes the damaged surface. It is recommended to take a maximum of 3 to 4 chewing gums or a tablet that can be eliminated during the day, between meals. It is important to chew the rubber for about 10 minutes, as it favors the creation of the protective film. What is Ferrum good for? Ferrum serves to compensate iron deficits, whatever their cause. Among its effects, include fatigue reduction, the improvement of anemia symptoms and the immune system maintenance. What's so special about Ferrum? Most iron-containing supplements have an unpleasant taste. Our chewing gum masks with mint the usual iron taste of iron supplements in order to make the ingest much more pleasant . The recommended dose of Ferrum is 1 chewing gum per day, and it is advised not to consume more than 2 a day. Which are Ferrum active ingredients? Microencapsulated ferric saccharide –that is released and absorbed completely in the duodenum–, vitamin B12 and folic acid. What properties does iron have for our organism? It is essential to oxygenate the cells of our entire body, therefore, is present in each and every one of the physiological processes. Kolestol contains a substance (monacolina k to 5%) that helps to diminish the elevated levels of cholesterol in blood. What are Kolestol active ingredients? Monacolin k is a natural hypocholesterolemic substance, without the usual side effects of classic medications. It also contains betaine, vitamins B6 and B12. It is recommended to chew 2 chewing gums daily and not exceed this dose. The results will depend on the starting level, and cannot be analyzed until the 60-90 days of a regular consumption of Kolestol. Why is it important to maintain cholesterol in healthy ranges? When the blood vessels contain high ranges of cholesterol, they can block blood circulation and cause serious health problems. These problems are due to LDL, known as bad cholesterol. The red rice yeast is obtained from a mold called Monascus purpureus. This yeast has been used since ancient times in China, Japan and other Asian countries to ferment rice, that acquires a red color after the fermentation process. Both yeast and fermented rice are traditionally used for digestive and circulatory problems. The Monacolina K, which is the active substance of this yeast, is a very effective remedy to control cholesterol ranges, and an alternative to drugs known as statins. What is Magnes K for? – Helps in tiredness and fatigue reduction. – Helps in muscle cramps prevention. – Helps in normal muscle function maintenance. What are Magnes K active ingredients? Potassium: contributes to normal muscle function, its deficit modify the heart function and causes cramps and muscle weakness. We recommended taking 4 functional chewing gums per day, 2 before and after sport practice. It is advisable not to take more than 4 chewing gums per day. To all those who practice sports, between 18 and 80 years old who need care for their muscles. 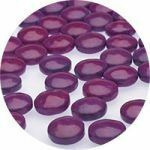 Beauty gummies are a beauty supplement that help the delay of the symptoms of aging, the increasing of skin elasticity, and the improving of cellular energy. It also acts as DNA antioxidant. What are collagen and Coenzyme Q10? Collagen is a protein that represents more than 20% of the total proteins of an adult. It is found in the skin, ligaments, bones, blood vessels and, ultimately, in all the tissues that connect parts of the body. It strengthens the skin, hair, bones and joints. In addition, it creates fibers that give firmness to all the tissues of the body. Coenzyme Q10, as well as vitamin E, inhibit the formation of free radicals. Vitamin C helps the formation of collagen and tissue repair. Which are Beauty active ingredients? As main assets it contains collagen, coenzyme Q10 and vitamins A, C and E. The summing effect of all of them helps the reconstruction of damaged structures that provide elasticity and firmness to the skin. How many jelly beans can I take per day? It is recommended to take two gummies per day, at any time, and not exceed that dose. The results are immediate, but their effects will be visible only after regular use for several weeks. Memo is a food supplement indicated mainly for students and for those who are preparing public examinatios. That is, people with a high intellectual demand in their daily routine and who need extra concentration. Memo provides substances that help concentration and keeping the mind awake during these periods. Phosphatidylserine is an essential component in the myelin sheath of neurons. When neurons have a myelin in optimal conditions, the transmission of stimuli is more efficient. From what age can Memo be taken? It can be taken from 12 years of age on people with specific needs, but also on all those adults who need to improve their memory. What are the active ingredients of Memo? Among its assets, Vitamins B1, B2, B6 and B12 –which contribute to the normal functioning of the nervous system, the psychological function and fatigue reduction–, and Phosphatidylserine –an essential component of the myelin sheath of neurons. It is recommended to take two gummies a day and not exceed that dose. What is Vitimax Kids for? Vitimax Kids is a vitamin complex aimed at children from 5 years old. It provides the necessary vitamins for the normal functioning of the nervous, cognitive and immune system. Why the ingest of a daily vitamin supplement is it beneficial for my son / daughter? Vitamins are indispensable for many of the bodily processes. In order to grow properly, children have their own set of nutritional needs compared to adults. Some of the vitamins needed should be ingested with the diet, but not all diets can provide everything they need for a balanced development. Can adults consume Vitamax Kids? A vitamin complex may be recommended, as long as it is used appropriately. What are the active ingredients of Vitamix Kids? Vitamin C (an antioxidant of the immune system that promotes the elimination of free radicals), Vitamin B3 (maintains the health of the nervous system and is important to convert carbohydrates and fats into energy), Vitamin B6 (essential for the proper functioning of the nervous system ), Vitamin A (protects the body from possible infections), Folic Acid (promotes cell regeneration), Vitamin H (involved in the production of fatty acids and amino acids), Vitamin D (helps maintaining bone health), Vitamin B12 (It intervenes in the correct mental functioning of the nervous system and in the production of red blood cells). Is Vitimax Kids a product recommended for all ages? Vitimax Kids is a vitamin booster that can be used in all ages. However, the human body needs a greater number of vitamins when childhood and early teenage, so it is recommended especially for people from 5 years. How many gummies can children take in a day? It is recommended to take 2 gummies a day, at any time, and not exceed that recommended dose. The dose is designed so that 2 gummies provide 100% of daily needs. Thanks to its ingredients, melissa plant and melatonin, Morpheo tablet produces a calming effect and helps to recover and / or to conciliate the physiological sleep. It is recommended to people who need help sleeping, such as travelers with jetlag or people with acute insomnia or insomnia due to stress. It is a hormone, secreted by our pineal gland, which is responsible for controlling the sleep and wake cycles. If administered orally, it helps the physiological effect of it. When should Morpheo be taken? Morpheo should be taken whenever trouble falling asleep due to stress, and it can be taken before bed or at night awakenings. It is a quick effect tablet. What are the active ingredients of Morpheo? Melatonin, saffron and Melissa officinalis. How many freeze-dried tablets can I use per day? 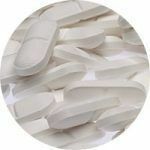 It is recommended to take 1 tablet per day, 30 minutes before bedtime, and not exceed that dose. Uculis is a dietary supplement for eye wellness. It is recommended for people who use several digital devices and work with computer or mobile all day. It is also recommended for people who suffer vision problems (especially night vision). Uculis provides the essential retinal pigments to achieve optimal vision. It helps to replace those retinal pigments that receive many daily impacts –which implies a great need for replacement–, and only obtained by diet. It is a metal that intervenes in many chemical reactions of the body, and helps the proper development of them. Zinc helps the release Vitamin A from the liver in order to be used in ocular tissue and have a correct functioning of the retina. What are Uculis active ingredients? Uculis assets are Lutein and Zeaxanthin, two essential retinal pigments for a correct vision. Zinc is the third Uculis active ingredient. How many tablets can I take per day? It is recommended to take 1 tablet a day, and not exceed this dose.